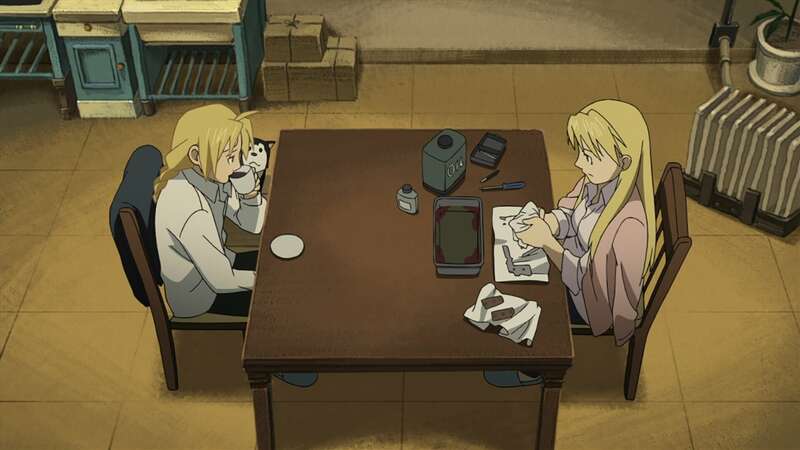 Years ago, Roy’s desire to become a state alchemist is disapproved of by his teacher, Berthold Hawkeye, Riza’s father. Before he died of an illness, he asks Roy to look after Riza, who has an alchemic symbol on her back. In the present, Ed visits Riza to return the gun she gave him and asks about Ishbal. After the war broke out, Bradley passed a document announcing the extermination of the Ishbalans. This takes it toll on many alchemists, including Roy which isn’t helped by the taunts of Kimblee, who enjoys killing. As Marcoh tells Scar his side of the story, he reveals that he was involved in using Isbalans to make the Philosopher’s Stone, which was given to the state alchemists to enhance their alchemy. The Ishbalan leader tried pleading with Bradley to end the killing in exchange for his life, but was rejected. 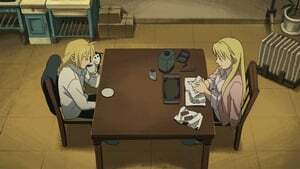 When the war finally ended, Roy resolved that he would work to become the new Fuhrer to protect the people and appointed Riza as her second-in-command. 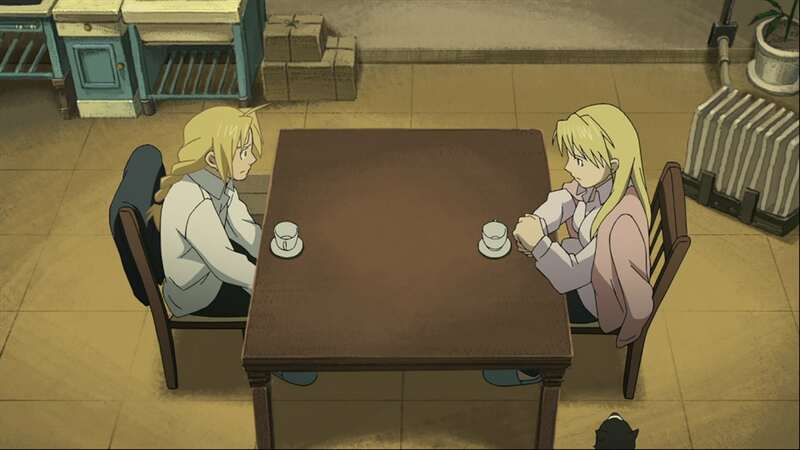 Riza mentions to Ed that when they finally achieve peace, they may have to be punished for the people they have killed. When Envy checks Marcoh’s cell, he finds nothing left but a beheaded corpse and the word “vengeance” written in blood on the wall.